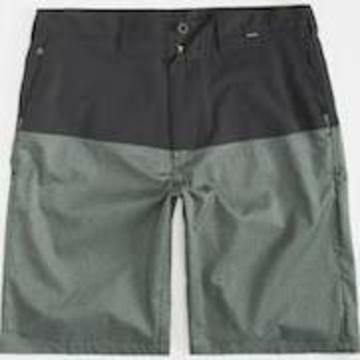 Hurley Dri-FIT Ration shorts. 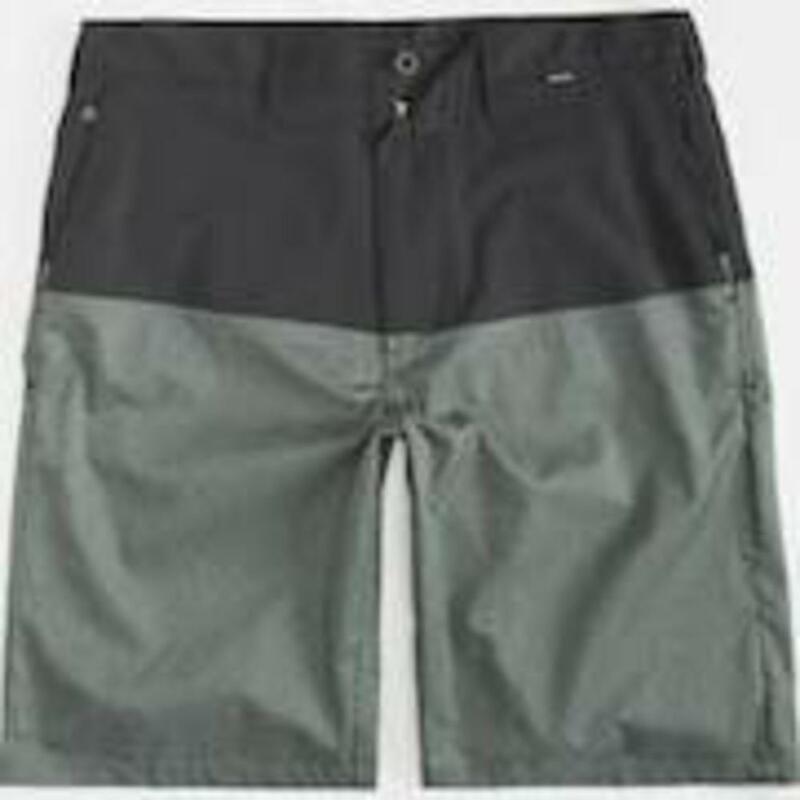 Slant front pockets with addition coin pocket at right. Button welt back pockets. Colorblock details with contrast herringbone lower. Zip fly. Button waist. 21". 70% nylon/24% polyester/6% spandex. Machine wash. Imported.